“This is Castlevania but in Victorian times.” That’s the thought that kept running through my mind as I played Momodora: Reverie Under the Moon. As I stepped out of the tranquil forest into the cold, oppressive atmosphere of Karst City, I thought those opening moments of almost every Castlevania game, running through the forest towards the gates of Dracula’s castle. Navigating the city, I felt the Queen’s looming presence in every step, just as I did Dracula’s; electricity replaced oil lamps, Victorian architecture replaced Gothic, but the sense of foreboding was the same. Climbing stairwells and running across rooftops to finally confront reach the throne room inspired the same combination of awe, curiosity, and dread. Basically, what I'm saying is that Momodora wears its inspirations on its sleeve. It's an exploration-driven platformer of the sort that Castlevania helped popularize. 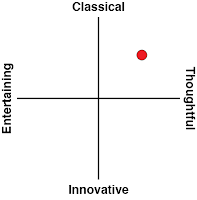 It has a similarly haunting tone, and it touches on the same themes of epidemic, religion, sacrifice, and servitude. It's a Castlevania game in all the ways that matter, and yet it has enough of its own identity to stand apart. That identity starts with Kaho, the hero. She's a priest from a distant land that's starting to fall victim to a curse, prompting her trip to Karst City to confront the Queen, who's the source of the epidemic. It's a risky journey, almost guaranteed to fail, but Kaho’s a determined protagonist who never wavers. That may make very seem shallow and flat, but she's quite the opposite. It becomes apparent early on that Kaho doesn't expect to return from mission, but that doesn't dampen her resolve. Her lack of words and stoic demeanor in the face of such a bleak world highlight the sorrow at the heart of the tale Momodora weaves. In that way, she’s a stark departure from Castlevania’s Belmonts, and far more reminiscent of I Am Setsuna’s eponymous hero. She has so much care for and commitment to her people that she can stare death in the face with her head held high. It's a departure from the bravado that plagues Castlevania; by and large, those games are about victory over evil and being a big damn hero. 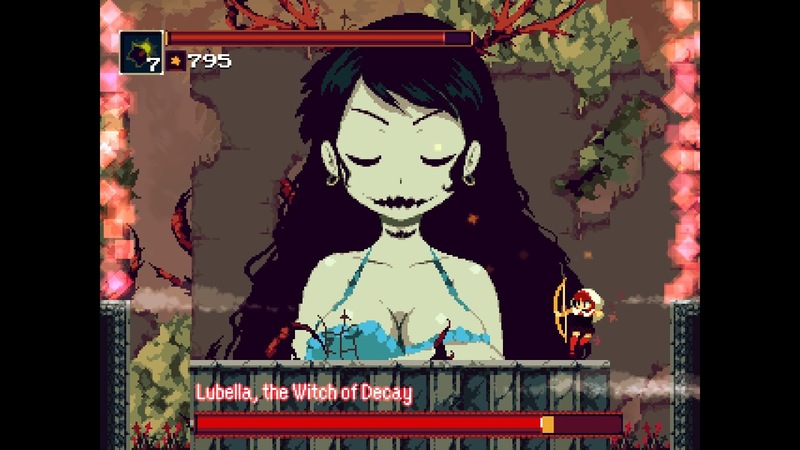 Momodora’s plot is near-identical on the surface, but the characterisation of Kaho shifts the focus from victory to perseverance; from being a hero to doing heroic things. It's a subtle difference, but an important one. 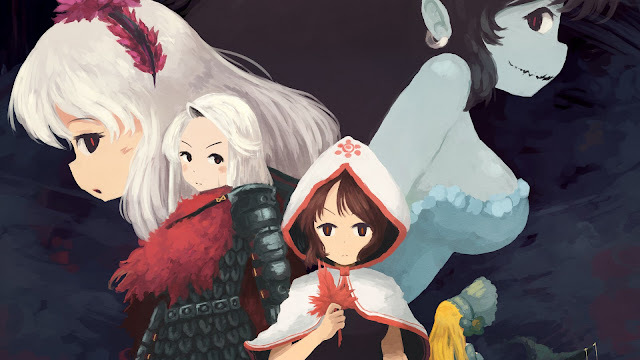 Related reading: I Am Setsuna draws inspiration from very different places, but is very thematically similar to Momodora: Reverie Under the Moon. Read Matt's review. The other characters that Kaho meets and situations that she encounters along the way touch on other ideas. The curse at the heart of the plot is a plague in all but name, a fact further cemented by the Victorian setting, and in brief, sparse moments of interaction with Karst’s few remaining residents, you really get a sense of the human impact. It’s the sort of hopeless situation that causes people to turn to some sort of faith, which is central in Momodora. On the one hand you’ve got Kaho, whose faith in her people (and, one assumes, her deities, what with being a priestess and all) is the rock that grounds her. On the other, you’ve characters like the Queen’s loyal subjects, who believe and trust in her with a dogmatic fervour that’s clearly misplaced - at least from Kaho’s perspective. One character, Cath, even shows both sides of that coin, with her blind faith in authority challenged and overcome. Her’s is a redemption story that’s just a tiny piece of the game, but is all the more powerful because of that. Momodora is a game that could be frustratingly hard, but the narrative context instead gives that difficulty meaning. Regular enemies hit like trucks, bosses hit even harder, and even the simplest encounters involve a learning curve as you figure out how best to avoid what's being thrown at you. It doesn't have the same demands for pixel-perfect platforming as many other games, but carelessness will bring about a swift death. And when you die, it's back to the last save point, which are fairly rare. In any other game, that sort of archaic design would be tedious, but here it underscores how resolute Kaho by involving players in her plight. As you die and retry over and over again, you become Kaho, surmounting seemingly insurmountable odds because you need to. 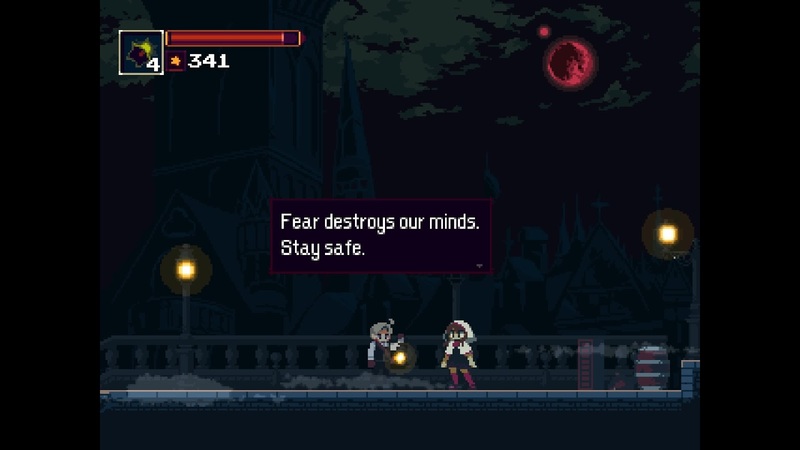 It helps that Momodora isn't so difficult that it becomes disheartening; the challenges are unforgiving but fair, so there's always a light of hope at the end of the tunnel. Moreover, it inspires exploration, encouraging you to go off the beaten path in search of health upgrades and items that might help. Of course, if that all becomes too much, there's an easy difficulty. Here, you start with a fully-upgraded health bar, as well as accessories that recover health over time and improve defence. This makes it possible to mostly just brute force your way through encounters, even if you don't have the sort of twitch reflexes or willingness to learn through failure that normal difficulty demands. I would say that it's worth playing at least a little bit of the game on normal, just to get a feel for the difficulty and that aspect of the storytelling, but it's nice to have the option to just take it easy. 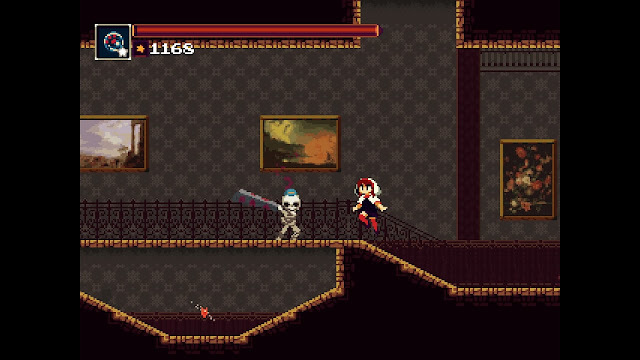 If there's one place Momodora comes up a bit short, it's in exploration. Don't get me wrong, the level design is intricate, and there are plenty of secrets to find, but that key Metroidvania element - upgrade-based progression - is somewhat lacking. The most exciting aspect of any Metroidvania is the process of acquiring new abilities that change how you interact with the game world, in turn opening the way to new paths. Instead of a locked door and a hidden key, you have a high ledge and a double jump power up, for example. An increasing suite of abilities opens more and more of the map, and lets you find new pathways in places already visited. Momodora has a bit that, but not to the same degree as other games. Really, there are only two upgrades that affect how you navigate the world: an air dash that lets you cover more distance mid-jump, and a very cute cat transformation that can squeeze through narrow passageways. These are primarily used for getting to given items that are useful but not vital, but it's missing that real sense of growth and progression that that The Metroidvania formula is usually so good at delivering. The maps themselves are every bit as intricate as the best of the genre, full of labyrinthine caverns that loop around and tie together like a knot. Exploring Karst City is still exciting, and being able to approach the city’s different wings at your own whim (to some degree) is a nice touch. Nonetheless, I feel like something is missing - not just from a perspective of “fun”, but in terms of Kaho’s story. She's venturing into a strange, alien place, and the upgrades are symbolic of her coming to understand that world and her place within it. You get a sense of that with combat upgrades, but the traversal ones are where it's most impactful. That one little gripe notwithstanding, Momodora: Reverie Under the Moon is a fantastic game. I've played a lot of games that emulate the design of Castlevania to varying degrees of success, but few that do this good a job of engaging with the theme 's that underpin that series. 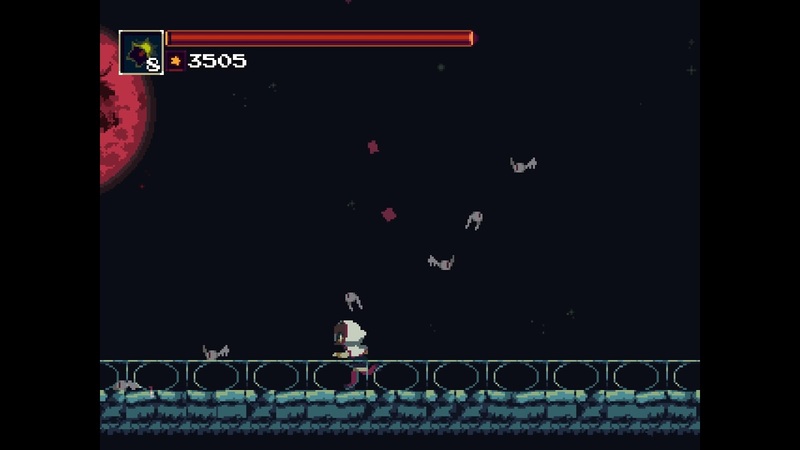 In doing so, Momodora carves its own special niche within the Metroidvania world.